IGMP | CCIE, the beginning! This short post illustrates how the cisco command “mtrace” works. With the multicast source at 10.0.0.1 and a multicast member at 20.0.0.1 requesting multicast content from 10.0.0.1. 10.0.0.1 and 20.0.0.1 can reach each other ONLY through R5-R2-R4 which also enabled for PIM. The trace request generated by the mtrace command is multicast to the multicast group to find the last hop router to the specified destination. The trace then follows the multicast path from destination to source by passing the mtrace request packet via unicast to each hop. Responses are unicast to the querying router by the first hop router to the source. 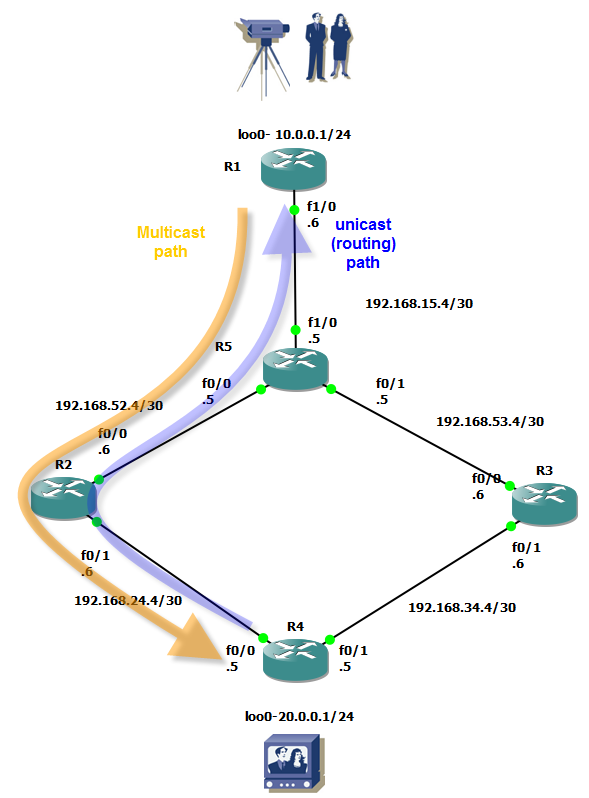 This command allows you to isolate multicast routing failures. R1->R5->R2->R4 is the multicast traffic path. This in an indication that the RPF check succeed! 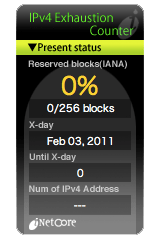 We can also use ping <mgroup> that will generate the multicast traffic toward the multicast member and the result shows confirmation from the multicast member for receiving the multicast traffic. the resulting traceroute request will report all RPF successes in the path back to the multicast source and stop there where an RPF failure.